Featherweight prospect and Golden Boy Promotions fighter Joet Gonzalez (19-0, 11 KOs), returns to the ring this Friday night on ESPN from The Novo in Los Angeles. Gonzalez will meet his toughest foe thus far in, Rafael Rivera (25-1-2, 16 KOs). Rivera’s only loss came at the hands of Joseph “JoJo” Diaz on the undercard of Canelo Alvarez vs. Gennady Golovkin back in September of last year. The pair will square off in a 10 round affair headlining the card and the winner will go home the new NABO Featherweight champion. Gonzalez is entering the fight with a streak of five knockout finishes and could possibly continue the streak on Friday night. Despite the impressive streak, Gonzalez is not taking Rivera lightly by any means and has focused his talents more on his boxing abilities than keeping the streak alive. The 24-year-old California native is aware of the opportunities just on the horizon, should he continue to impress, and the NABO title is nice but his eyes are on a world title. 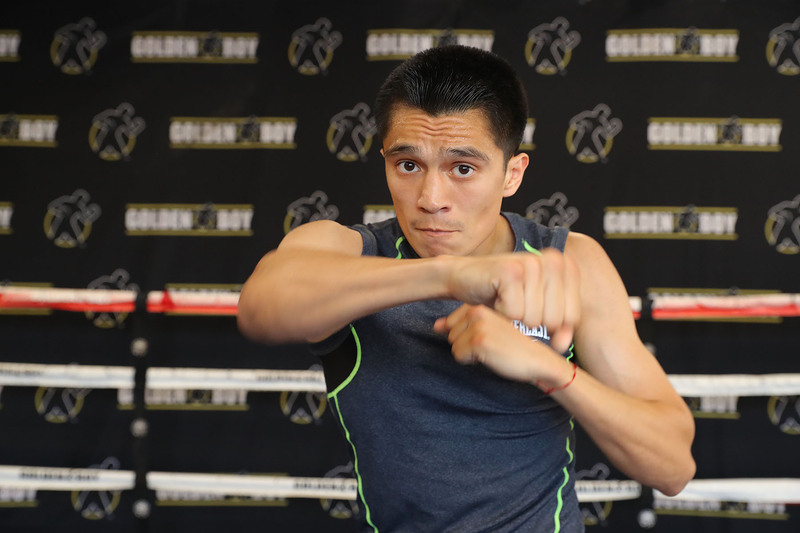 As he’s climbed the ladder of Featherweights, Gonzalez has had the opportunity to square off in sparring against some of the top names in and around his weight class like Mikey Garcia, Oscar Valdez, and Vasyl Lomachenko. Looking towards his opponent in Rivera, Gonzalez recognizes that Rivera’s bout with JoJo is completely different for what he’ll see in the ring. Gonzalez has proven himself the real deal time and time again and Rivera will surely look to put a halt in the young man’s dreams.